Q: How do I purchase a table? There are three easy ways to purchase a table. Online with a credit/debit card: Click here to purchase safely and securely. Corporate sponsors can reserve their table here. 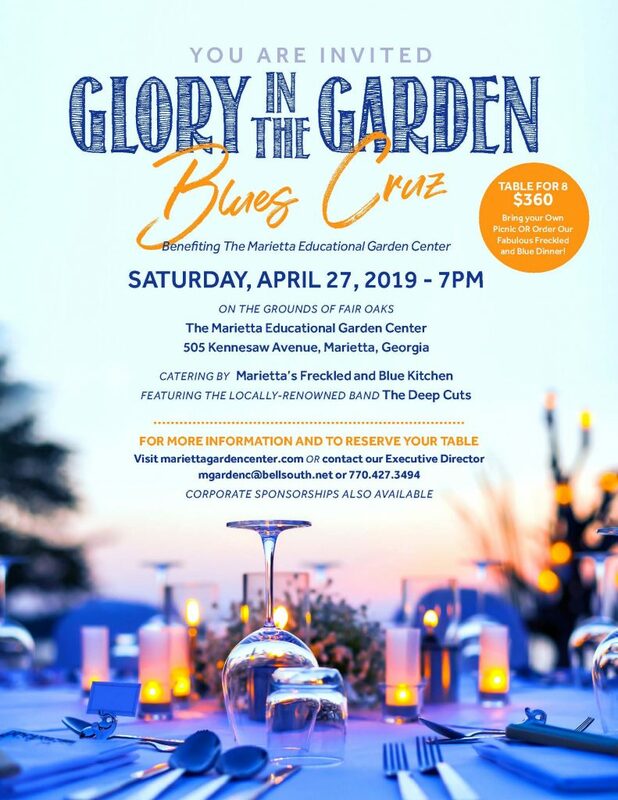 Phone in your reservation 770-427-3494 and mail a check, made out to the Marietta Educational Garden Center, with “Glory” in the memo line. Q: What levels of corporate sponsorships are available? Q: How much does a regular table cost? Q: What is this year’s theme? This year’s table decorating contest theme is “Blues Cruz”, evoking thoughts of lazy summer nights and great music. We are pairing a delicious barbeque menu from Marietta’s Freckled & Blue with the smooth sounds of The Deep Cuts. Q: What are the categories for the table decorating contest? A note to $2500 sponsors: Your table will be beautifully decorated, including dishes, flatware and wine glasses, etc. as part of your sponsorship. However, if you wish to create a themed table that reflects ‘Blues Cruz’ or simply your corporate brand – please let us know and your table will only have a cloth on it when you arrive. Q: What will my table look like when I arrive at Glory in the Garden? $360 patrons will have a 60” table and 8 chairs. Q: What Band will perform at Glory in the Garden? We have a fantastic band this year – The Deep Cuts will be showcasing a great play list of your favorites, including “deep cuts”—songs you will remember and love! They are a local favorite and can’t wait to perform at this year’s Glory. NO JUDGING! The important thing is that you come to have fun, socialize and, maybe even dance! This outdoor event is traditionally dressy casual, but COMFORTABLE. A few men will be in a jacket, many in shorts and a collared or button-down shirt. Many women will be in a nice sundress, or pants and a pretty top. Q: What about food and drinks for my guests? You may bring your own special picnic dinner and beverages for your guests. Many people love to bring their own version of the ideal, foodie meal. You are welcome to do this and consider the theme if you are participating in the Table Decorating Contest! Q: What is the deadline to order the catered meal? The deadline for food orders and payment is Monday, April 22. Q: How many people will fit at my table? Your table will accommodate 8 people. Q: May I purchase individual seats? No. The smallest unit available for purchase is a table for 8 guests. Q: When does Glory in the Garden begin and end? The night’s festivities will begin at 7 pm and conclude at 11 pm. Q: When may I start decorating my table? You may come at 6:00 pm to decorate. If you have lots of items to drop off, please use the Nelson Street back entrance and then park your car. Any guest may park in the two lots across the street from the Garden Center. Some corporate sponsor benefits do include parking in the main lot. Please see the list of sponsor benefits or talk to your table host to find out more. Please consider taking Uber or other methods of transportation if you wish to simplify or need a ride. Q: I purchased a table, but now I find I cannot attend. May I release it back to the Garden Center? All table sales are final. If you have purchased a table, but know you will not attend, simply let us know that you are releasing your table in writing (email is fine) and we will be happy to send you an acknowledgement. 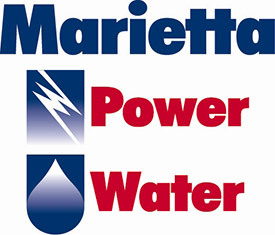 We will miss spending the evening with you but understand how busy the springtime season is and appreciate your continued financial support of the Marietta Educational Garden Center. Q: I have more questions. Can you help me?